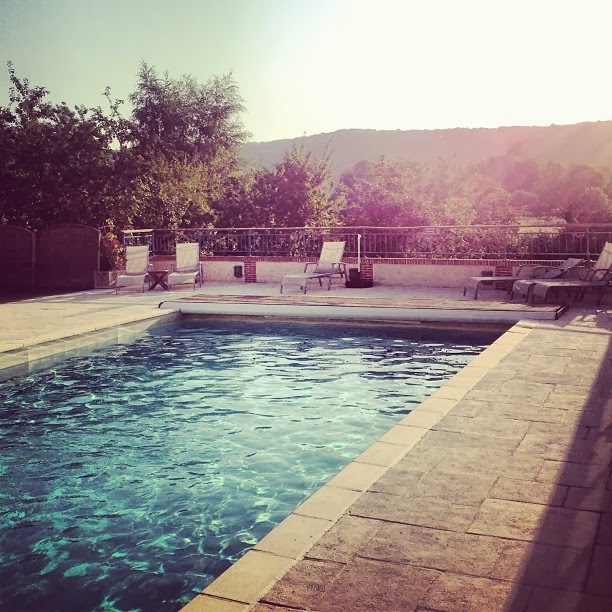 We arrived at dusk just in time for a quick dip in the heated outdoor pool as the sun set behind the hills, before showering - the bathroom was stocked with thick bathrobes and luxurious seaweed extract Algotherm toiletries - and getting ready for an aperitif at the hotel bar. We walked through the sleepy village of Jumièges in search of dinner and had traditional French cuisine at a rustic restaurant called Auberge de Bac right on the banks of the Seine before heading back to our traditional suite, with rich heavy fabrics and wooden beams and blissful silence. Housed in an old barn outbuilding surrounded by apple trees, it was so peaceful and quiet, we slept like babies. After breakfast, we spent a couple of hours languishing by the pool and jacuzzi before visiting the Jumièges Abbey which was built between 1040-1067 and is an exceptional piece of Norman Romanesque architecture. And it's absolutely huge; the nave walls are 25 metres high and the tallest of its period in Normandy, topped with 45 metre tall towers and surrounded by peaceful poppy fields. The next day after a morning swim, we begrudgingly packed up and left our relaxing retreat to get the bus into Rouen. We checked into L'hôtel De Bourgtheroulde, a luxury spa hotel in a 16th century building with super modern interiors, stylish boutique rooms and a cool swimming pool under the glass floor of the atrium bar, smack bang in the middle of town. We walked to the fabulous La Rose des Vents for a spot of lunch, which has very cool decor, filled with curious antiques, mid-century furniture and unique art, lots of which you can buy. I had a delicious warm caesar salad with chunks of chicken breast and courgette ribbons and a couple of glasses of cold white wine before venturing back out to wander the pretty timbered streets. Another one of our favourite places we discovered was the charming little salon de thé called Dame Cakes, run by a lovely husband and wife team selling their own blends of teas and homemade cakes, complete with French chic interiors, chintzy crockery and doilies. We popped in for a little caffeine hit and sugar rush before browsing the shops and visiting the famous gothic Notre Dame cathedral, built in 12th century. We also visited the Musée des Beaux-Arts de Rouen for an exhibition of 100 Impressionist and watercolour masterpieces from Monet, Renoir, Manet, Cézanne and Van Gogh et al on the theme of reflections, including plenty of paintings of the Seine in the Normandie area. 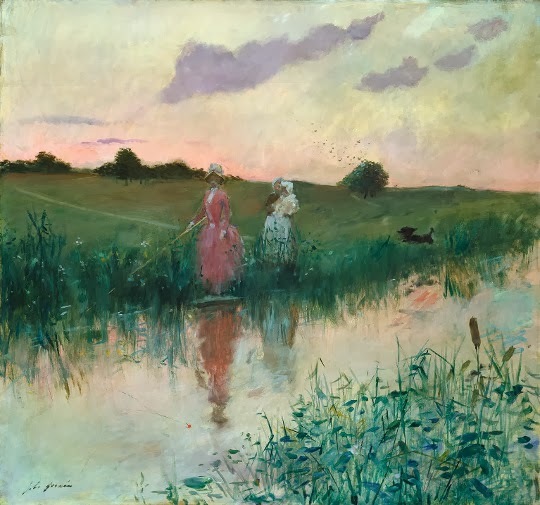 I loved Jean-Louis Forain's Madame Forain Pechant a la Ligne and its dreamy palette.